Enhanced Leak Detection (ELD) testing is an advanced leak detection method that identifies leaks in above ground and below ground storage tank systems. ELD testing is the most sensitive testing method available on the market. Our technology detects leaks at a rate of 0.0005 gallons per hour, which translates to a leak that emits 44 gallons of product per year. That’s a huge contrast from conventional testing methods that detects leaks at a rate of 0.1-gallon per hour or 876 gallons per year. ELD testing means less environmental contamination and a huge cost savings by reducing wasted product. ELD testing also pinpoints the exact location of individual leaks (either single or double wall) at a UST/AST system. This means more targeted repairs of the facility tank and piping system. It also reduces environmental contamination and limits costly cleanup and site remediation for owners, state regulators and insurance carriers. For ELD testing, we use our trademarked MDleak® technology, which uses chemical markers to detect leaks. These chemical markers or tracers each have unique signatures that allow us to see where it escapes from the pipeline or tank. 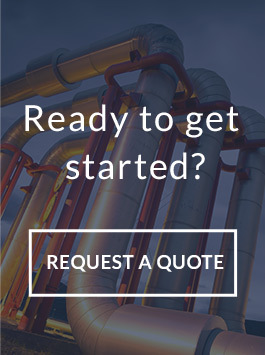 To determine the leak status of a component such as an underground storage tank, pipeline, or an aboveground storage tank, a unique marker is added directly to the fuel product. Permanent sampling ports are installed along the piping trench and around the tank perimeter. Sampling port installation and sample collection are conducted in accordance with EPA Protocol. 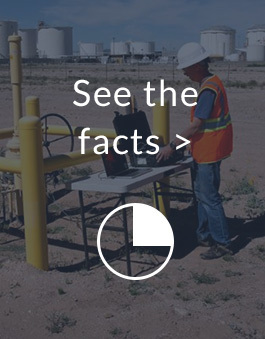 If a leak is present in the system, the fuel will carry the marker into the environment where the marker will evaporate and migrate to the nearest sampling port. Individual samples are collected at each sampling port, labeled and analyzed. The laboratory evaluates the samples using sensitive analytical equipment. If there are multiple tanks on the site, each tank is inoculated with a different formulation of the chemical marker. Because each marker or tracer has a different analytical signature, the tanks that are leaking can be easily identified.